Whether you need to move on, forget, or believe in alterverses to even begin to enjoy this game, do it! Square Enix has brought a gem of a game in the new installment of Tomb Raider. It’s a revamp of the series that needed some new life brought to it. Don’t get me wrong, the old ones had their place, but while they were fun, they weren’t deep. 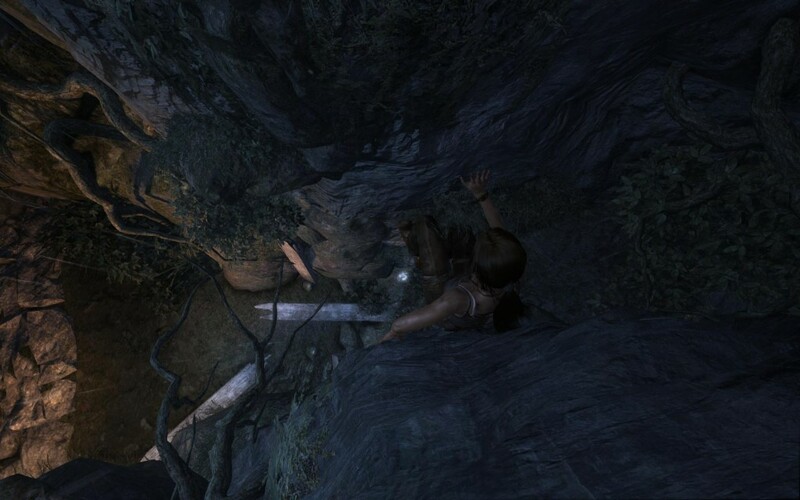 Tomb Raider starts you off on an excursion to find an island called Yamatai with some ancient goodies and such. Needless to say, the island has a propensity for crappy storms, wrecking ships/planes/whatever that seem to get near the island… thus you crash on it. As with normal games and movies, all the main type characters live while everyone else on the boat that got it to run and such are never seen from again. At the same time, everyone that survived seemed to be relieved that their circle of friends seemed ok enough and don’t ever mention the cleaners or what have you. Maybe there was only seven people on the whole boat, but I somehow doubt it. A main point to be made here is that there is a story for this game that isn’t “go to this tomb and take it’s crap”. They do a rather decent job telling a story and I did want to see how it ended. This video has me die’n a few times and it’s not by being tickled to death. You have been warned! So as you can see, the game is pretty grim and dark compared to the originals. That is totally fine with me. This was a reboot of a franchise and for a series that is about nine games in before this one; a reboot was probably the best option. 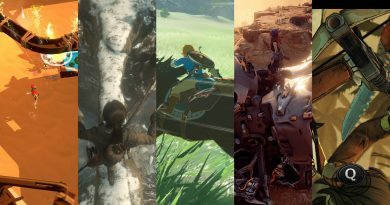 Other than changing the scenario and graphics, rebooting the series can lead to all sorts of new innovations to the series and how the characters are portrayed. This new revision was very welcome and probably needed if they wanted to continue making Tomb Raider games. I mean, they couldn’t just keep changing the skin and polygon count and keep making them could they? Nobody does that *cough*Madden*cough*. Some stink’n beautiful scenes in this game. This game has had a major graphical overhaul which makes this game stand out. I have found myself staring that the landscapes in this game often. Yes, I meant landscapes, they gave Laura an overhaul as well, but the level design outdid her pixel count easily. Almost everything in this game looks like you’re playing a live action CG movie. The game didn’t even lag for me on my five-ish year old computer (neglecting how much love I put into it). The people over at Crystal Dynamics really worked hard on this and it shows! Gameplay wise, as you could tell (maybe) from the video above, has stayed basically the same if you’ve played any of the original Tomb Raider games. 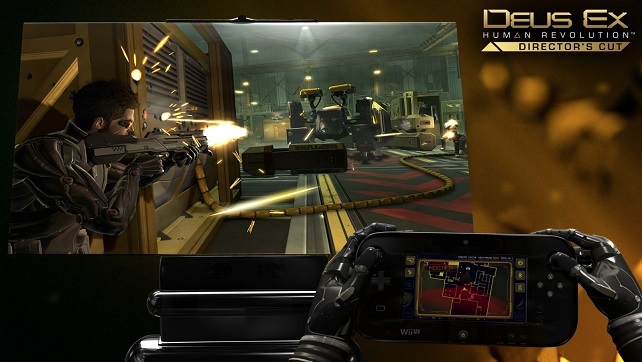 It’s still a third person action platformer, however, it seemed to be missing something that the old games had. It was missing more puzzles and tombs. Now they had tombs, but there was only about one or two in each zone. Each had one main puzzle to solve and they weren’t exactly brain teasers. The hardest one being the “Hall of Ascension” tomb, but that was more an exercise in patience and timing (a frustrating one lol). I didn’t miss them as what they replaced them with was more fun to me. Gottah catch’em all. Upgrading your weapons is what all the cool kids are doing these days. What did they replace them with you ask? Well… RPG elements of course! If that’s not the popular thing to do now a days, I don’t know what is. You get more exploration, levels, and weapon upgrading. There are hidden artifacts laying around this island (for extra exp) and luckily enough, the local inhabitants were courteous enough to leave like artifacts in the same zone. We wouldn’t want to be an unorganized group of crazy people now would we? In game achievements give you extra exp. Killing people silently gives you extra exp. You find crates of salvage and get salvage off of the enemies you kill and this gives you the ability to upgrade your weapons. My only complaint is that the upgrades are staggered and there are times where you may find yourself with a ton of salvage and nothing to upgrade. They cover this up by having you find “pistol parts” or what have you before you can upgrade that certain weapon. 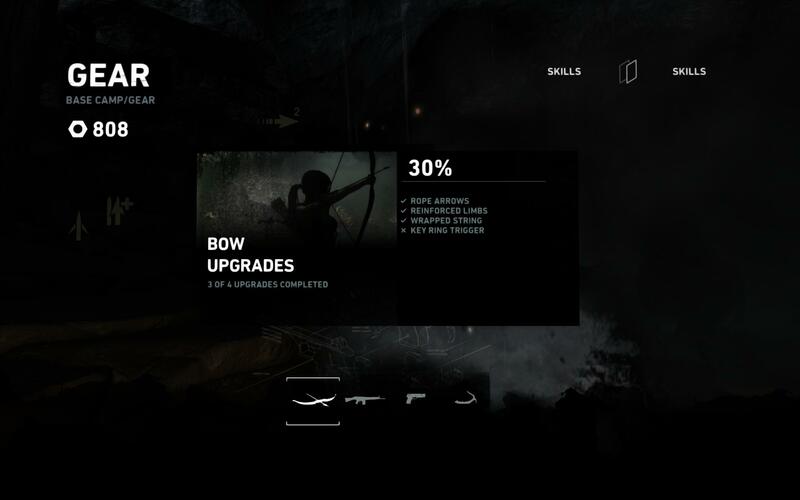 I kind of wish it would have been a level based thing where getting another level unlocked something you could do with a gun and then you could choose to upgrade or not. Or just keep increasing the cost to completely upgrade it whenever you had the salvage. I didn’t want to use all of the guns since I was going all stealth like. Last time I checked, shotguns weren’t the stealthiest gun in the book. Still images just don’t do this game justice. Another element that was added were QTE’s or quick-time events. QTE’s aren’t my favorite thing in the world as I feel they kind of take the skill that a game is harnessing in a player and throw it out the window to utilize a timing based spam-a-lot functionality that I feel cheapens games at times. 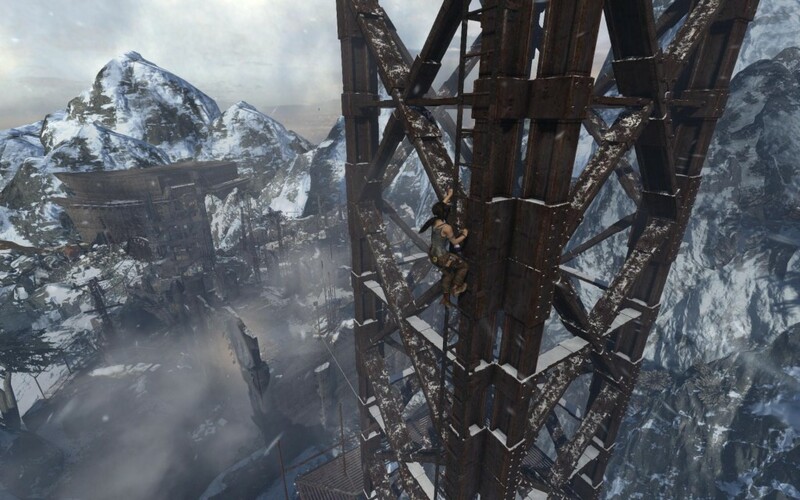 Luckily, it’s not that bad in Tomb Raider. It’s not that it’s great, but most of the QTE’s are done well enough and the buttons that you’re mashing do kind of make sense to the scene (when you figure it out). While that’s nice, there were some where I just didn’t quite understand what they wanted me to press (having not played with QTE’s often on PC). In the video I died quite a few times because I wasn’t sure what buttons they wanted me to press so rocks that I should have been able to avoid or that weird looking bad guy that chases me all killed me a few times each go. It was frustrating until I figured it out. I don’t even want to talk about the parachuting through the forest bit. That was only quasi-QTE, but I stopped counting how many tries. I was on team ugly for the majority of rounds when I got into a match. It was a blast when it happened. 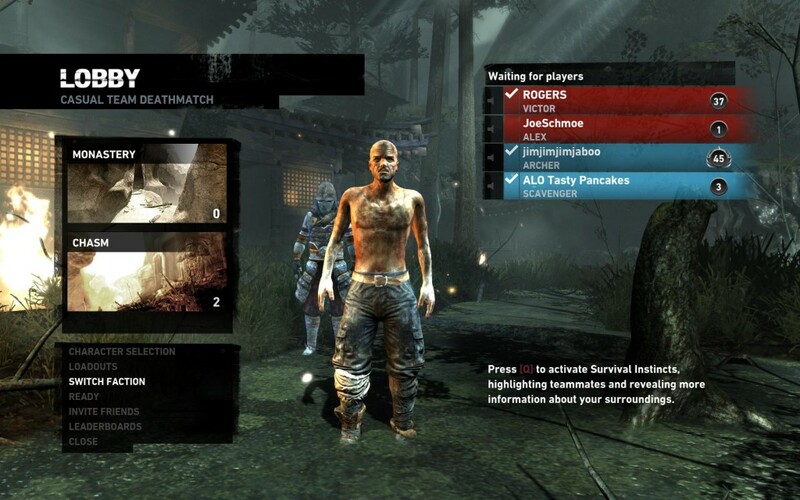 So what was another nice addition to this game was the multiplayer. It was simple and to the point. It also played rather smoothly as well, but it looked like the game wasn’t as pretty in multiplayer and that was probably what helped it run smoothly with the people joining from different parts of the where-ever they joined. It ran as smoothly as the single player did. There were still upgrades to be had on your weapons as you gathered salvage in the multiplayer to upgrade you weapons (again) for the online bit. They were different for each side of the conflict you would pick so you did have to either pick up a lot of salvage or be super picky about what upgrades you got. If you just straight used all of your salvage for one faction and then got auto-placed on the other faction on the next round you played, you’d have no upgraded guns. That’s just how it was. It wasn’t completely unfair, it kind of makes sense (it’s a different faction and they don’t tend to share), but it still seemed a bit wonky. Multiplayer was a lot of fun.. if only more people played the multiplayer. I can’t think of a time when it didn’t take me 20+ minutes to find a match or just give up. It might have been nicer if I played it closer to it’s release. Maybe I’ll wait for the next steam sale to start playing again when a big influx of people start playing again. I’m crossing my fingers. Overall: Tomb Raider is a fantastic game. If you’re a fan of 3rd person shooters, action platformers, or Tomb Raider games in general, you should give this game a try. It’s visually stunning and fun 98% of the time when you’re not getting stuck on some goofy (non-game breaking) QTE. Pick this game up and support this level of quality in games. 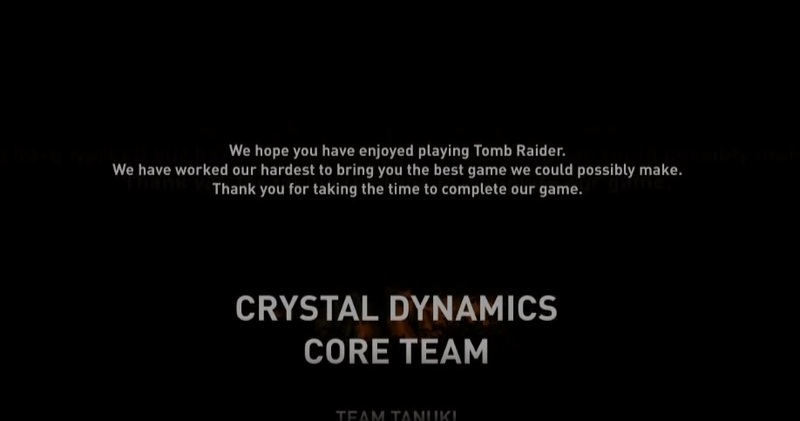 This just makes me think that the creators of this game were proud of what they accomplished in creating the latest itteration of Tomb Raider. As well they should be, Kudos to you guys, awesome job! ← TVGBL Enters The Nuzlock Challenge! Great write up. I now want to play, where as before I was on the fence. I’m interested in the multiplayer (which is odd for me to say). After watching the trailer before it’s release, I knew this one was going to Ooooh & Ahhhh with the graphic bits. I, for one, having been playing vidyah games for as long as I have, enjoy the progression toward better graphics. This makes me very excite. Thanks Jon…but not from my wife, for she won’t be pleased that I’ll be buying another game. 🙂 Jk jk…no but seriously. Let me know when you get it, I will definitely multplayer this with you. It makes me sad that not many people d… wait a minute. Are you planning on buying this for a console?